America's no. 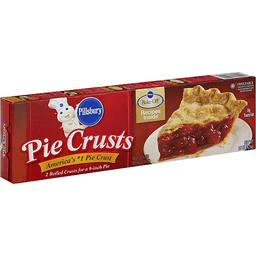 1 pie crust. 2 rolled crusts for a 9-inch pie. 0 g trans fat. We make it easy - you make it yours! 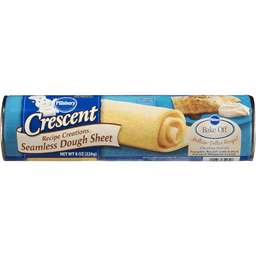 Unroll, fill & bake. Real savings, highest quality, every day. 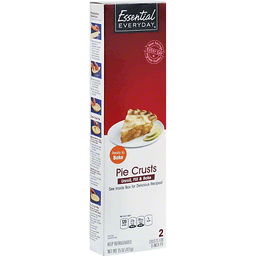 Per 1/8 of Crust: 120 calories; 2.5 g sat fat (13% DV); 135 mg sodium (6% DV); 1 g sugars. www.essentialeveryday.com. Made in Canada.